"The most important thing we can do is pray," Franklin Graham said during his Decision America Tour stop in Tallahassee, Florida. The first half of that event was spent in prayer. We have completed the first four stops on our Decision America Tour—with 46 more to go. Getting to every state will take most of my year, but this is a critical time for our country, and we don’t have long left to make a difference. In Des Moines, Iowa, people began arriving hours before the prayer rally, and although the weather was gusty and below freezing all day, an enthusiastic crowd of more than 2,500 flooded the state Capitol’s West Terrace steps and spilled into the surrounding area. In Tallahassee, Florida, at least 3,500 filled the front lawn of the state’s Historic Capitol, and in Baton Rouge, Louisiana, more than 4,000 stood shoulder to shoulder in a plaza across from the Old State Capitol. And about 1,500 people braved a bitterly cold New Hampshire day to join me in Concord at the Capitol. They came because they want to join with others in calling out to God to restore our nation. People traveled from all over these first four states, some even driving in from other states, bringing with them a strong sense of urgency. They know our country is broken—it’s broken morally; it’s broken spiritually; it’s broken politically; it’s broken racially. “Instead of saying ‘Poor us,’ we need to take a stand,” a father named Roger said at the Iowa rally. He is deeply concerned that America’s religious freedoms are hanging in the balance. “From the town council to the school board to the statehouse, we need to start standing up.” He brought his wife and teenage sons with him to make the family’s voice heard. The most important thing that we can do, as Christians, is pray. God hears prayer and God answers prayer. I believe there is a powerful biblical model for calling on God to turn a nation back to Him. It starts with repentance—not only by the nation but by God’s people, confessing our own sinfulness. In the time of Nehemiah, the nation of Israel was in real trouble. When Nehemiah began to pray for the people’s hearts to be turned and the nation to be restored, he said, “I confess the sins we have committed against You. Both I and my father’s house have sinned. We have acted corruptly toward You and have not kept the commands, statutes, and ordinances You gave Your servant Moses” (Nehemiah 1:6–7, HCSB). We followed Nehemiah’s pattern in each city. I asked the people to join me, right there at the prayer rally, in a time of silent repentance for our own sins and then to acknowledge before God the sin in our churches, our families, and our family history. We confessed the sins of our nation, as well, and prayed for America and its people. Not everyone attending these rallies knows Jesus Christ as Savior and Lord. At each event I carefully explain the message of the Gospel and give an invitation. Because of the nature of the rallies and their setting, it is not practical to invite those who respond to come forward, so we ask them to let us know of their decision by texting from a cellphone. 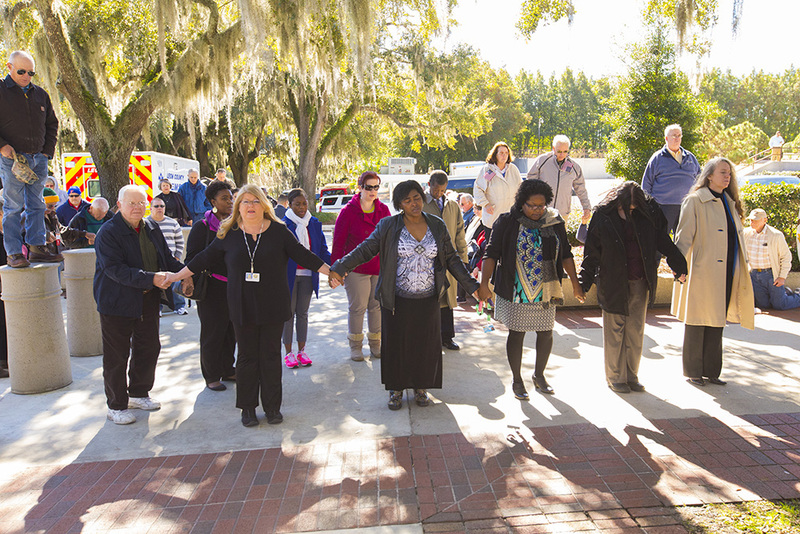 As God works, people are opening their hearts to Him at each prayer rally—125 in Baton Rouge. We connect with them individually for follow-up, offering resources to begin their walk with the Lord, suggesting opportunities for discipleship, and urging them to find a Bible-teaching local church. We praise God for each person whose life is changed. 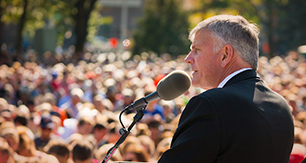 Over 11,700 people across four states have come out to join Franklin Graham so far. During this 50-state tour, I am urging Christians to get engaged in the political process and stay engaged. We need men and women to run for office at every level, Christians who believe in biblical values and principles and are willing to stand for them and follow them. A tour to every state capital in America is a huge undertaking, and we need your financial gifts and your prayers to carry it out. For the sake of our children and grandchildren, for the sake of our country’s future, we can’t delay. Pray that God will impact lives across the land and turn our nation to Him.